SC1430E 17 1/4" x 33 1/4" x 67" EAGLEgard® stationary, full-size security unit. SC1436E 17 1/4" x 39 1/4" x 67" EAGLEgard® stationary, full-size security unit. SC1448E 17 1/4" x 51 1/4" x 67" EAGLEgard® stationary, full-size security unit. 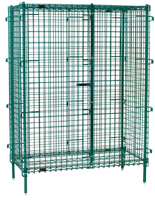 SC1460E 17 1/4" x 63 1/4" x 67" EAGLEgard® stationary, full-size security unit. SC2430E 27 1/4" x 33 1/4" x 67" EAGLEgard® stationary, full-size security unit. SC2436E 27 1/4" x 39 1/4" x 67" EAGLEgard® stationary, full-size security unit. SC2448E 27 1/4" x 51 1/4" x 67" EAGLEgard® stationary, full-size security unit. SC2460E 27 1/4" x 63 1/4" x 67" EAGLEgard® stationary, full-size security unit. SC3030E 33 1/4" x 33 1/4" x 67" EAGLEgard® stationary, full-size security unit. SC3036E 33 1/4" x 39 1/4" x 67" EAGLEgard® stationary, full-size security unit. SC3048E 33 1/4" x 51 1/4" x 67" EAGLEgard® stationary, full-size security unit. SC3060E 33 1/4" x 63 1/4" x 67" EAGLEgard® stationary, full-size security unit.